The Save Our Spit Alliance's upcoming 'SPITFIGHTER 2 Rally' will be promoted through the world music blends of the band FREE LIKE ME at their Gold Coast gig, Saturday 6th October at Mandala Organic Arts Cafe, Mermaid Beach. FREE LIKE ME singer/songwriter, Lucy Gallant, was born in London. She left home at age 14 to travel and perform her original music, firstly hitchhiking around Australia using Byron Bay as her base, before travelling the world. Lucy met her music partner, Daniel Urbina, in New York. Daniel is originally from Venezuela and like Lucy is a multi-instrumentalist. They formed FREE LIKE ME in 2008. Since then FLM has played in 40 countries including Spain, France, England, Mexico, Colombia, and Venezuela. Fresh from their recent USA tour, they have established an international following by using music to ?represent the essence of the people and beauty of the places they've encountered' throughout their world travels. FLM's music and lyrics also display a 'strong sensitivity to the socio-political circumstances of the world we share?calling the masses to take action, to pursue their dreams.' 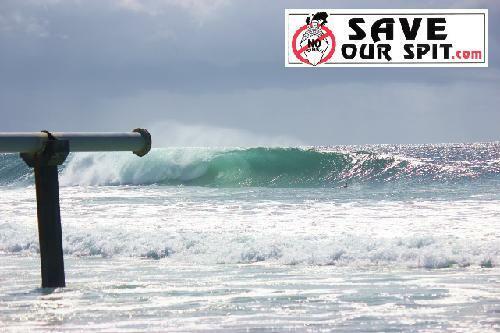 So when Lucy's friend on the Gold Coast, Darren Barker of 'Surfing Chef Safaris', told Lucy about the Save Our Spit campaign, she decided to use FLM's Gold Coast gig to help promote the 6th November 'SPITFIGHTER 2 Rally' at Doug Jennings Park. Experience the high energy rhythms and powerful vocals and lyrics of FREE LIKE ME with their Reggae, Gypsy, Surf, Rock, Funconscious sounds. And at the same time support and celebrate the Save Our Spit campaign, get up-to-date campaign information, rally flyers and car-stickers, sign the petition and watch the Save Our Spit President breathe fire.